Jon Stewart made awkward jokes a year ago when pressed about rumors that his friend and fellow comedian Louis C.K. 's acted inappropriately toward women. Stewart no longer think it's funny. In fact, he says he's "stunned." The former "Daily Show" host said Tuesday on NBC's "Today" show that inappropriate behavior is "endemic" in the comedy community and that it is an especially harsh environment for women. He cops to the mistake of turning a blind eye to the rumors. "You always find yourself back to a moment of, 'Did I miss something? Could I have done more?' And in this situation, I think we all could've. So you feel anger at what you did to people," Stewart said on Tuesday's show. "Comedy on its best day is not a great environment for women. I think it's gotten better over the years, but certainly, when we started 30 years ago, it was really difficult. So to do it was an act of bravery in and of itself." Stewart added that, "You get mad at yourself too for laughing it off, or for thinking, 'That didn't happen.'" Stewart took some heat after news broke last week that Louie C.K. acted inappropriately toward five women, all of whom spoke to the New York Times about their encounters with the comedian. Stewart appeared in a podcast a year ago with political analyst David Axelrod, in which the former late night host sidestepped questions about rumors over Louis C.K. 's inappropriate behavior by cracking awkward jokes and saying, "I've never heard anything about this." "So the Internet said Louis harassed women? You know who you're talking to, right?" Stewart said to an audience member who posed a question about Louis C.K. rumors that surfaced online. "Honestly, I'm not that connected to that world. I don't know what you're talking about." Tuesday morning, Stewart gave an explanation for his response. "My first response was, 'What?' And then, joke, joke, and as he kept going, I was like, 'Look, I know this is very serious, but I know Louis, he's always been a gentleman to me,' which, again, it speaks to the blindness that I think a man has, which is, like, 'hey, he's a good guy, what are you talking about?'" Stewart said. "Digging around in it and finding that some people had done, it was hard, but we were all assured like, no, but we took somebody's word for it, and maybe that's an error on our part." Stewart said he hasn't spoke with Louis C.K. since the New York Times bombshell report broke last Thursday. In the report, multiple women alleged sexual misconduct against the comedian, allegations that Louis C.K. later confirmed were true. The comedian has since lost a film distribution deal for "I Love You, Daddy," and HBO has pulled his previous projects from its streaming service. 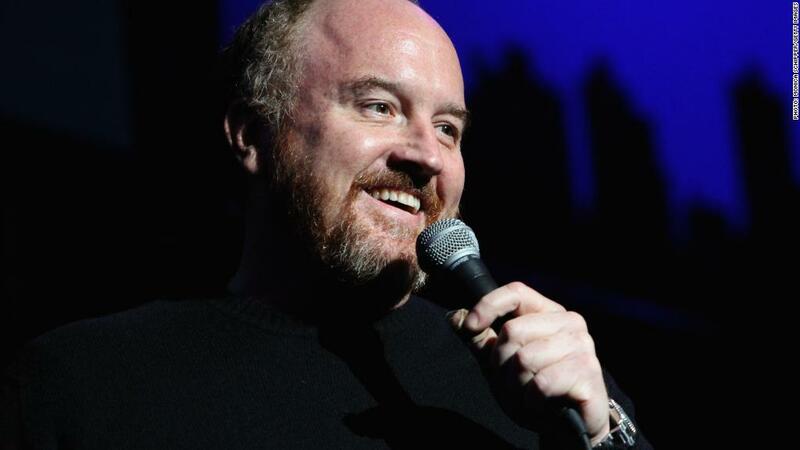 His publicist parted ways with Louis C.K last Friday.